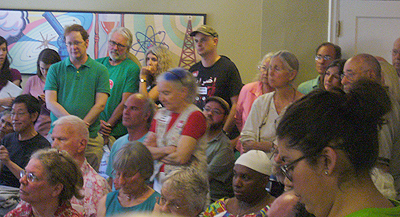 KPFA listeners and staff filled the July 20-23 meeting of the Pacifica National Board (PNB) in Berkeley past capacity, spilling into the hallway during public portions of the meeting. Listeners came from all over the broadcast area — Santa Rosa, Petaluma, San Jose, Oakland, and even Fresno and Los Angeles. 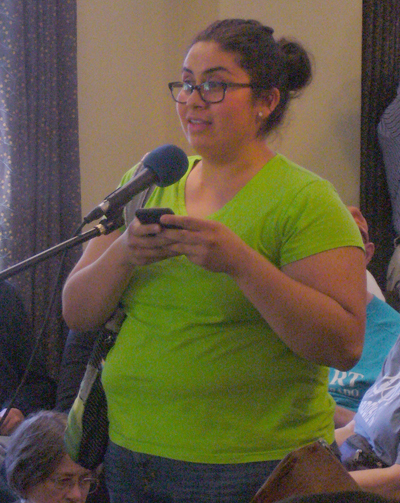 Dozens spoke up eloquently during public comment, opposing more cuts at KPFA, criticizing Pacifica’s current leadership, and challenging Pacifica Treasurer Tracy Rosenberg on her unproven budget claims. KPFA staff passed out this flyer explaining how further cuts to KPFA would hurt the entire network. 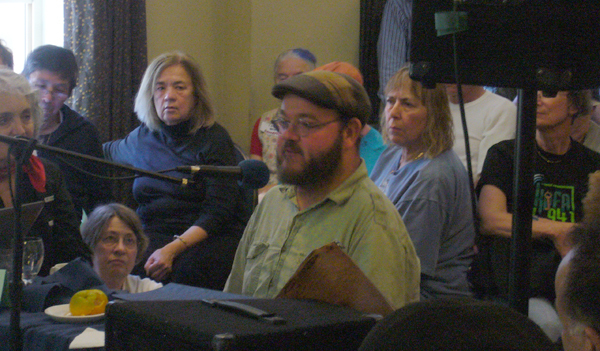 One of several unpaid programmers who spoke, Glenn Reeder, said that austerity measures like the layoffs Pacifica was proposing “don’t improve institutions in the red — investing in people does.” Many of those present had already read the recent independent audits of Pacifica, showing a healthy KPFA, but massive financial problems in the mismanaged Pacifica National Office and at WBAI, the network’s New York station. Listener Kate Gowen said that the conflict around the station had “laid bare two very different visions of what KPFA should be, and how the role of the National Board is to be defined.” Programmer Sasha Lilley told the board it would not solve Pacifica’s financial woes by cutting paid staff, because that would result in a loss of income and listenership, as happened the last time. 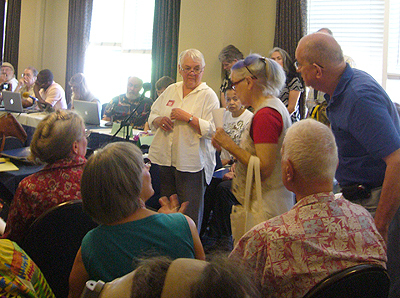 For many on the national board, it was the first time they’d seen KPFA’s listeners or staff face-to-face. And what a difference it made! Here are some major developments from the weekend’s meeting. 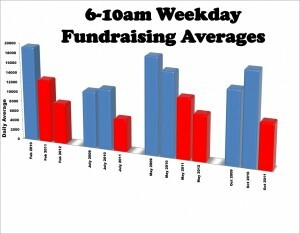 Pacifica management had been trying to impose $1 million of cuts on its stations, and had been pressuring KPFA to reduce staffing by $300,000 – which could cost the station 7 to 8 positions, enough to take several programs off the air. Pacifica management was insisting on the cuts even though KPFA is on track to have a six-figure budget surplus this year. But then, things changed. During public discussions, it became clear that Pacifica’s executives — Arlene Engelhardt, the executive director, and LaVarn Williams, the CFO — couldn’t explain why they decided the stations should take $1 million in cuts. They had done no analysis on how layoffs might hurt fundraising efforts, and couldn’t articulate any plan for financial recovery. 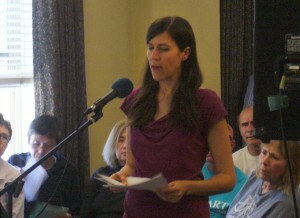 Public testimony from KPFA’s listeners and staff against further cuts was compelling and seemed to sway some board members. On Monday, the PNB overwhelmingly passed a resolution by KPFA representative Dan Siegel calling on station managers to assess their individual financial situations, and submit financial plans for timely payments of all their bills. This is an important step forward for local control. Siegel says the resolution commits Pacifica to a budget process that relies on “station management to monitor and control their budgets. This is just the first step. Somehow the National Office allowed $2 million in unpaid bills, including about $1.5 million to Democracy Now!, to accumulate,” said Siegel. “We have to figure out a way to pay off these bills without undermining the functioning of our stations. The third priority is to finally deal with WBAI’s $800,000 in annual rent, which has weighed down the entire network for years. I am pushing for a quick solution that involves moving to a cheaper location in New Jersey, Queens or Brooklyn, and use of a different broadcast tower,” Siegel added. SaveKPFA readers will remember Arlene Engelhardt: she’s the heavy-handed Pacifica manager who killed the Morning Show — at the time, KPFA’s most popular program and the station’s biggest fundraiser — and then refused pledges of over $60,000 from KPFA listeners who wanted to help. LaVarn Williams is the network’s CFO. This good news is due to the hard work, persistence and support of the thousands of you who have signed petitions, sent emails, joined protests, and attended meetings. Thank you! Right now, the most important thing you can do to fight cuts to the programs you care about is to donate to KPFA’s Summer Mini-Fund Drive currently underway so the station stays in the black. 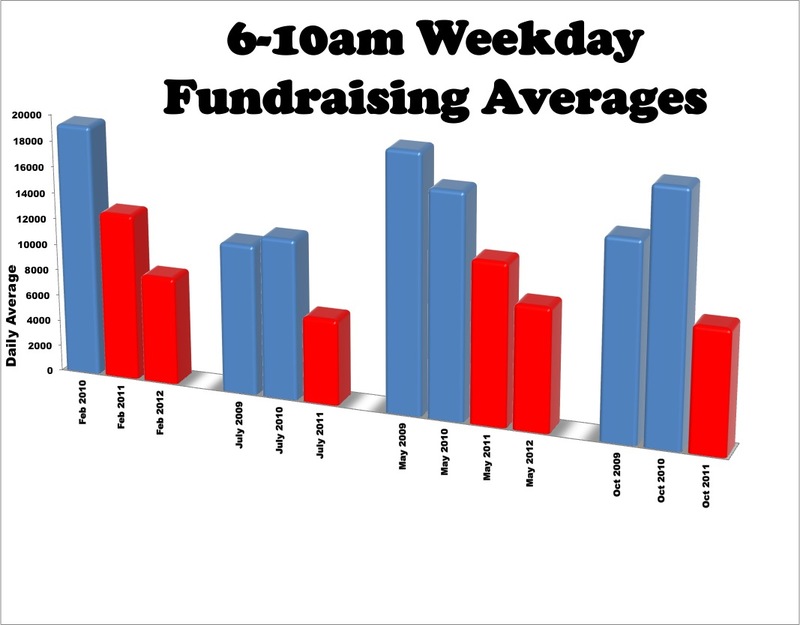 PLEASE NOTE: this fund drive is the last chance you have to become a KPFA member or renew your membership in time to vote in the upcoming general elections. SaveKPFA will be fielding a set of candidates, and we’ll need your vote. But you can’t vote if you haven’t donated, so please pledge at least $25 now! This weekend: Come to PNB meeting to demand no more cuts!